Portable Vocal booth delivers consistent sound anywhere I go. – Testimonial. He said that hi main concern was revisions and making then sound consistent with the rest of the take. With VOMO – there was never a problem! 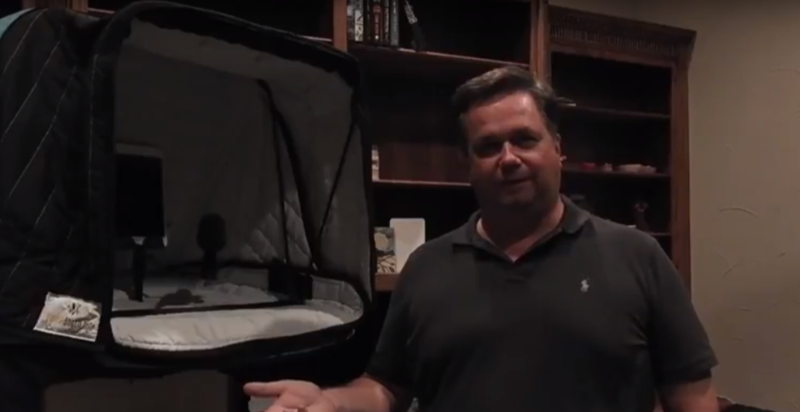 This entry was posted in Acoustic Product Reviews and Testimonials and tagged acoustic room treatment, audio recording, Carry-on vocal booth, Most efficient portable vocal booth, portable vocal booth, sound booth, vocal booth, Vocal booth portable, voice acting, voice over, voice over recording while travelling, voice over travel, VOMO tour. Reporting from Time Square in NYC, NY: VOMO been there, done that! Dallas TX. Discussing VOMO and new gadgets with Dean Wendt.